Clinical history is critical to diagnosis. The horse with overt heaves, or recurrent airway obstruction (RAO) will have a history of having had a recurrent (hence the name) breathing problem, characterized by outwardly evident difficulty breathing which often results in a visible ‘heave line’ which is the product of chronic increased expiratory effort, cough and nasal discharge. An astute owner will note that the signs usually get better when the horse is kept out of the stable, and a ‘bad’ batch of hay (usually meaning that the hay has mold) can throw the horse into a full-blown exacerbation of disease. In the South, and during warm, humid months in more northern areas of the country, high mold or pollen levels in the air can produce similar signs in horses that are kept outside, so-called Summer Pasture Associated Recurrent Airway Obstruction, or SPARAO. The history in a horse with IAD may be much more subtle, ranging from loss of speed to occasional cough, mucoid nasal discharge, reluctance to come onto the bit, taking down rails when jumping, failure to swap leads, or any number of relatively subtle signs that may not seem to be related to the respiratory system. Both horses with RAO and those with IAD often have a history of living in a barn with: hay stored overhead, stalls that are close to a poorly-ventilated indoor arena, plentiful pine trees during pollen season, blowers used to clean aisleways or multiple other sources of dust. Poorly ventilated barns may feel comfortable in the ‘people areas’ such as the large aisleways but have high ammonia levels in the stalls. On physical examination, the horse with heaves in exacerbation often has flared nostrils, and auscultation of the chest reveals both crackles and wheezes. Gentle manipulation of the trachea usually produces a cough. Severely affected horses are often thin, as their work of breathing is considerable. Horses with IAD, on the other hand, often appear completely normal on physical examination. It may be necessary to have the horse rebreathe into a bag to increase the breathing effort, to hear any abnormalities on auscultation of the chest. Severe cases of heaves are easy to recognize on the farm. The combination of a recurrent and escalating history of coughing and breathing difficulty, especially in the wintertime when the horse is in the barn, along with a physical examination during exacerbation, is often diagnostic in and of itself. Your veterinarian may choose to do a blood test called an SAA (serum amyloid A) which our group along with other researchers, has shown can help to distinguish between equine asthma and infectious respiratory disease. Endoscopy may show large amounts of mucus in the airways, and both tracheal aspirate and BAL will reveal a majority of neutrophils in the fluid. If your veterinarian carries a spacer, such as the Aerohippus and albuterol, they will bronchodilate your horse to provide immediate relief – this can also help in diagnosis because unless the heaves-affected horse also has fibrosis in the lung, the bronchospasm that is causing the difficult breathing is at least partially reversible. Another drug that is commonly used in spasmodic colic, Buscopan, can also be used to induce temporary bronchodilation, although it should be used with caution in horses that have a high heart rate. IAD is more difficult to diagnose in the field. Your veterinarian will start by making sure that your horse does not appear to have any infectious disease. Horses with IAD do not have a fever but will have a bright eye and be interested in life and food. Horses with infectious respiratory disease, such as equine influenza or pneumonia, usually look sick. Your veterinarian may choose to do a rebreathing test to search for abnormal lung sounds or cough, may do an SAA blood test, and may do an endoscopy to look for excessive mucus in the trachea and rule out upper airway causes of cough, such as epiglottic entrapment or sinus infection. If the history and physical examination are highly suggestive of IAD, the next step is a BAL on the farm. We offer a consultation service for BAL cytology, so that your veterinarian can have access to our experts on diagnosis and treatment of equine asthma in addition to a cytologic read of the fluid. There are some very low-tech and inexpensive ways to help you determine whether your barn provides a healthy environment for your horse’s lungs. First, walk around as though you were seeing the barn for the very first time. Look at where your horse’s stall is located with respect to the rest of the barn. Is it near areas of high traffic, such as the tack room, barn manager’s office, or wash stall, where more dust can get kicked up? Look at the ceilings and the corners. Are there a lot of cobwebs, dust, areas of the barn that cause you to cough? Wait for a sunny day and walk into the aisleways and stalls right after the barn is cleaned, and then one, two, three and four hours after. Do you see any beams of sunlight? If you do, remember that you can’t really see light – what you see is the motes of dust suspended in the air. You really shouldn’t be able to do that. Now, observe how people work and move around in the barn. When the stalls are cleaned, do the barn people throw the bedding up against the wall? That’s a really good way to kick dust into the air. Are they using leaf blowers to clean the aisleways or are there diesel fuel tractors pulling manure wagons down the aisleways? Again, these are great ways to ensure dust and other particulates are in the air. Now, look at the type of bedding and hay you use and how the hay is stored. Multiple studies have shown that shavings are better than straw for bedding, but that pelleted bedding or shredded paper provides an even more dust-free environment than shavings. Hay stored overhead or adjacent to the stalls is one of the leading ways for mold spores to get in the air that your horse is breathing. After you finish looking at the barn itself, take a detailed look at the indoor arena. Is it dusty when you are riding? Is your horse’s stall near the indoor arena? For anyone who has spent a lifetime riding in indoor arenas, it will come as no surprise that unless they are well managed, they can be a significant source of particulates and even culturable bacteria that can be inhaled by both you and your horse. It is certainly useful to do a more in-depth analysis of barn air quality if you have a problem with multiple horses. Smoke tests to look at air movement, particulate and dust measurement and ammonia levels can all be done and monitored to help you determine whether you are effective in your management. If you are thinking of building a new barn or renovating an old one, it is worth hiring a qualified barn architect to make sure that ventilation is excellent. This will save you money in veterinary costs in the long term. Download Dr. Mazan's Equine Respiratory Health e-book for a detailed understanding of equine respiratory health. Dr. Daniela Bedenice is a veterinary internist and one of the few large animal veterinary specialists in the country who is dual board-certified in both Large Animal Internal Medicine and Emergency and Critical Care. Dr. Bedenice co-leads the Tufts Equine Respiratory Lab and is at the forefront of understanding, diagnosing and treating horses with respiratory conditions. She also provides intensive care for both newborn and adult horses, llamas, alpacas and small ruminant species. Dr. Bedenice grew up in rural Germany where she trained and cared for many horses. After earning her veterinary degree from the Free University of Berlin, Dr. Bedenice initially worked in private practice followed by specialty training in large animal internal medicine, critical care and respiratory medicine after moving to the United States. 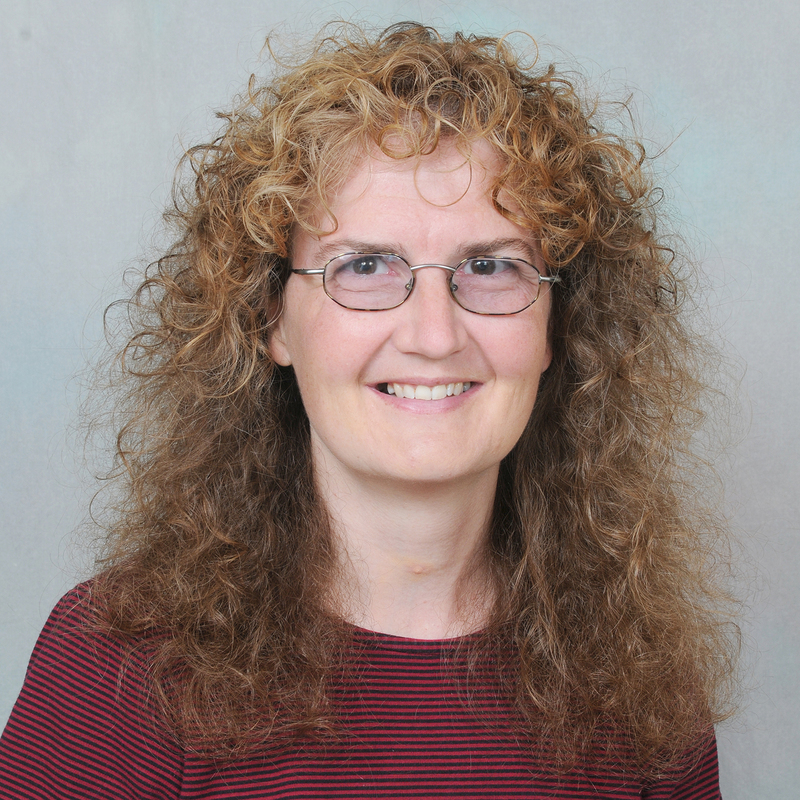 As an Associate Professor in the Department of Clinical Sciences at Cummings School, Dr. Bedenice has published extensively in the field of comparative respiratory medicine and evidence-based therapy, as well as newborn and adult intensive care. She is Course Director of Clinical Pharmacology and leads or contributes to multiple veterinary courses focused on respiratory topics, gastrointestinal disease and neurology, and to clinical services specializing in large animal internal medicine. At home, Dr. Bedenice operates a small farm with thirteen alpacas and three German Shepherds. 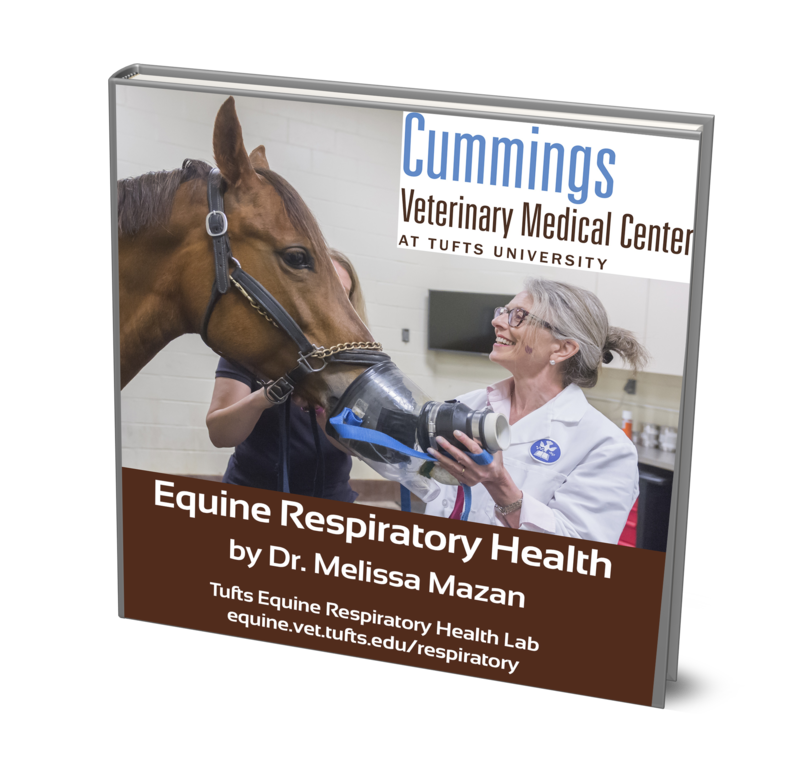 Dr. Melissa Mazan co-leads the Tufts Equine Respiratory Lab and is a world-recognized expert in the field of equine asthma. Dr Mazan’s work led to the creation of the first clinical lung function laboratory in North America where lung function testing is regularly used to help improve equine performance. Dr. Mazan earned her B.A. at Yale University and her DVM from Cummings School of Veterinary Medicine at Tufts University. She is board-certified in the America College of Veterinary Internal Medicine (Large Animal). Dr. Mazan teaches courses on respiratory medicine and pathophysiology, as well as exercise physiology at Cummings School where she was drawn by the opportunity to combine research, clinical work and teaching. She also developed the first veterinary telemedicine teaching service in the United States for working equids in Fez, Morocco. 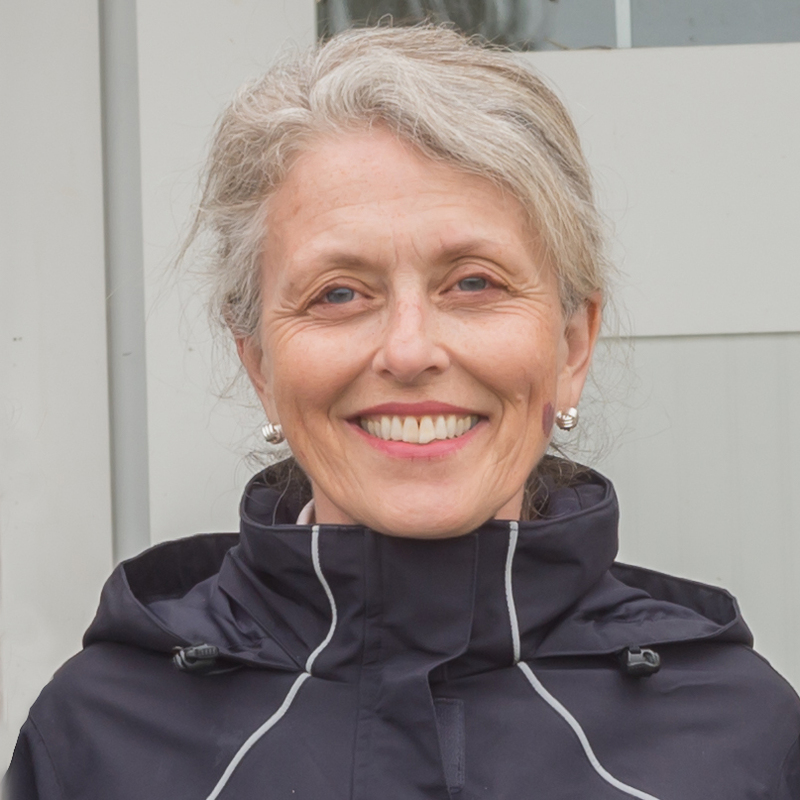 Dr. Mazan’s interest in equine health and performance began when she was a member of the Varsity Polo Team at Yale University and the Captain of the Polo Team at the University of Oxford, and when she was managing her own barn and competing as a junior in equitation and Pony Club. When we do a BAL cytology at the Tufts Equine Respiratory Health Lab, you not only get a cytological diagnosis, but you also have access to our clinicians for advice on treatment. Find out more about our service and how to submit samples.